After more than 10 years after it’s first night, it’s time. Time to go bigger, bolder and better than ever before. Time to take everything to a whole new level. 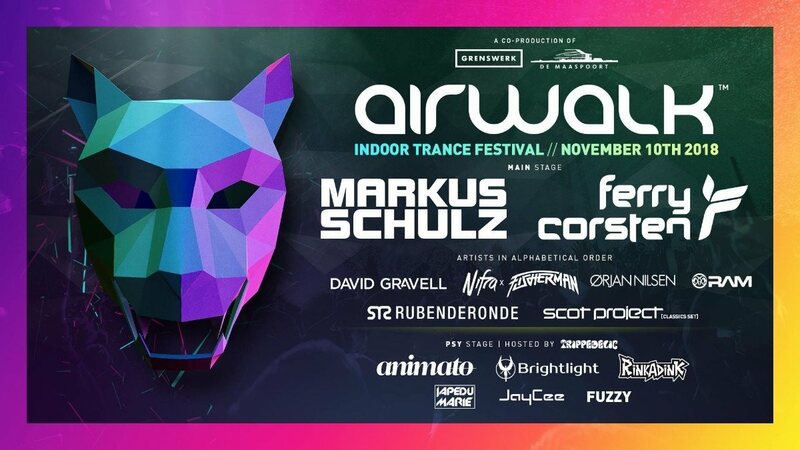 Yes, it’s time to launch the first ever Airwalk Indoor Trance Festival. In collaboration with Grenswerk, De Maaspoort and our friends from Trippedelic Events, we are about to throw the biggest Trance rave in the south of the Netherlands at the majestic looking Theater De Maaspoort. With 14 acts spread out over 2 stages (MAIN and PSY), it’s safe to say that the whole spectrum of Trance will be touched and explored during this 9 hour experience. In the upcoming weeks we will start revealing the artists one by one but we can already tell you that it’s going to get quite crazy with worldwide heavy-weights, legends and the best new future heroes in the game.